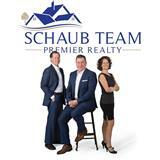 Schaub Team strives to respond to your request in a timely manner. Feel free to send us an email anytime or contact us on one of our cell phones. Contact us to assist you with your real estate needs in Leelanau County or the Grand Traverse area, including buying or selling a home in Suttons Bay, Lake Leelanau, Northport, Glen Arbor, and Leland Michigan.